Miguel has been writing songs in sessions organised by his publisher Music Sales. Miguel produced materials with Tim Elsenburg from the band Sweet Billy Pilgrim and singer-songwriter Helen Boulding. Little Ashes won the Outstanding Film-Limited Release category at the GLAAD Awards (The Gay & Lesbian Alliance Against Defamation). Miguel was a special guest on BBC Radio Ulster’s ‘Sounds Classical’ where he discussed the nominees in the Best Original Score category for this year’s Academy Awards. Listen. Miguel was the keynote speaker at the Audiovisual Research Study Day held at the University of Helsinki, Finland. Miguel discussed his score for Little Ashes and collaborative processes in film composition. Miguel led a composing for film weekend workshop for the South West Music School at the magnificent Dartington Hall. Miguel has had a chapter published in the Ashgate Research Companion to Popular Musicology. ‘Reinventing Question Time’ explores the title music for the popular political debate programme, Question Time, as it has evolved over the last 30 years. 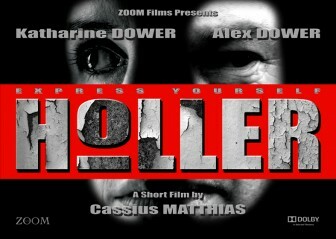 Cassius Matthias’ film Holler with a score by Miguel will receive its premiere at the National Film Theatre on the 14th December. Miguel led a film composition workshop at the Cinemagic Film Festival in Belfast and was joined by David Arnold, composer of the James Bond movies. Miguel was a guest on the Simon Mayo show on BBC Radio 5 Live and discussed the use of music in film with composer David Arnold, filmmaker Kenny Glennan and film critic Nigel Floyd.